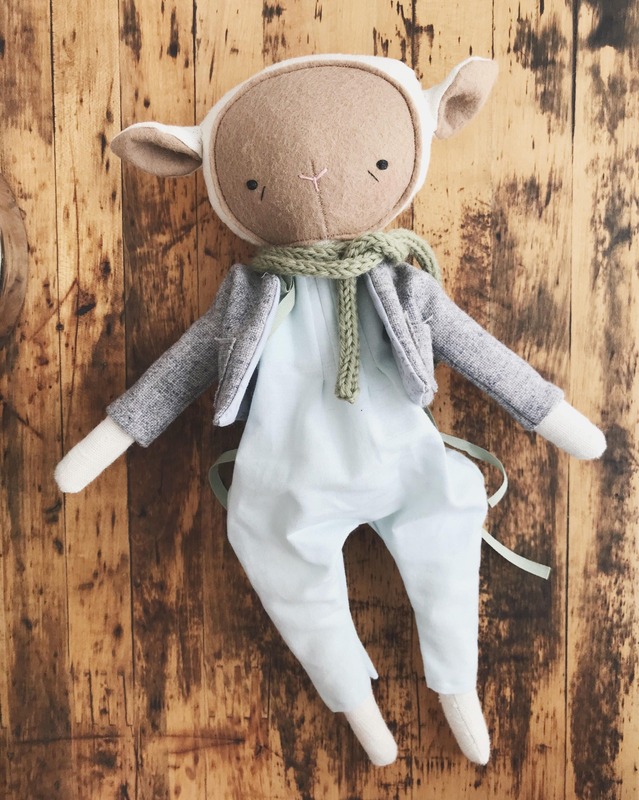 the foundlings | handmade cloth lamb doll | "aster"
aster is a one of a kind handmade cloth lamb doll with a linen body, hand embroidered wool felt face and natural lambswool stuffing. 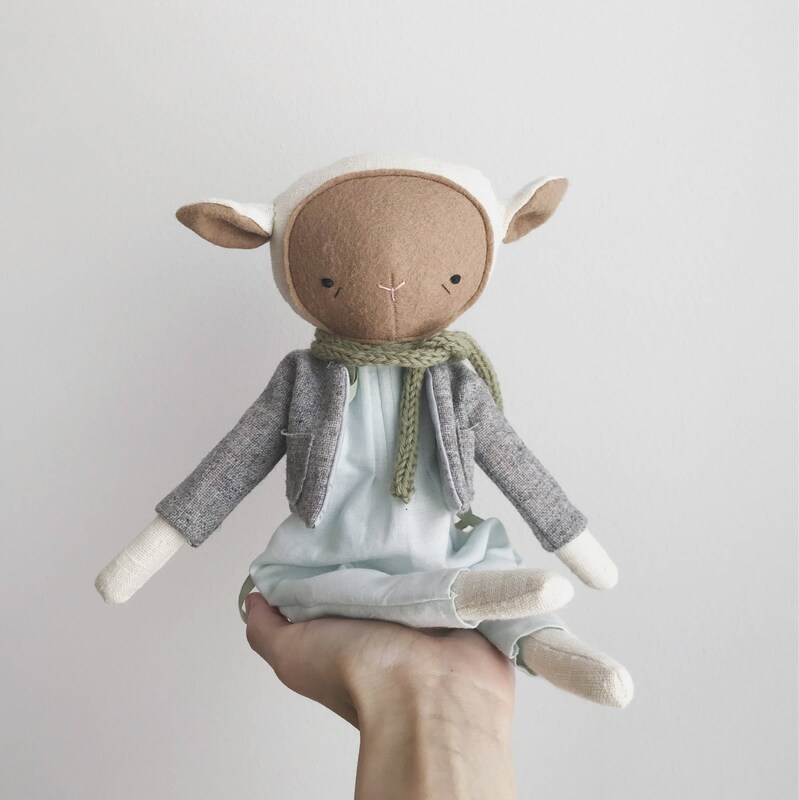 she is a perfect friend for cuddles, mischief making, and secret sharing. 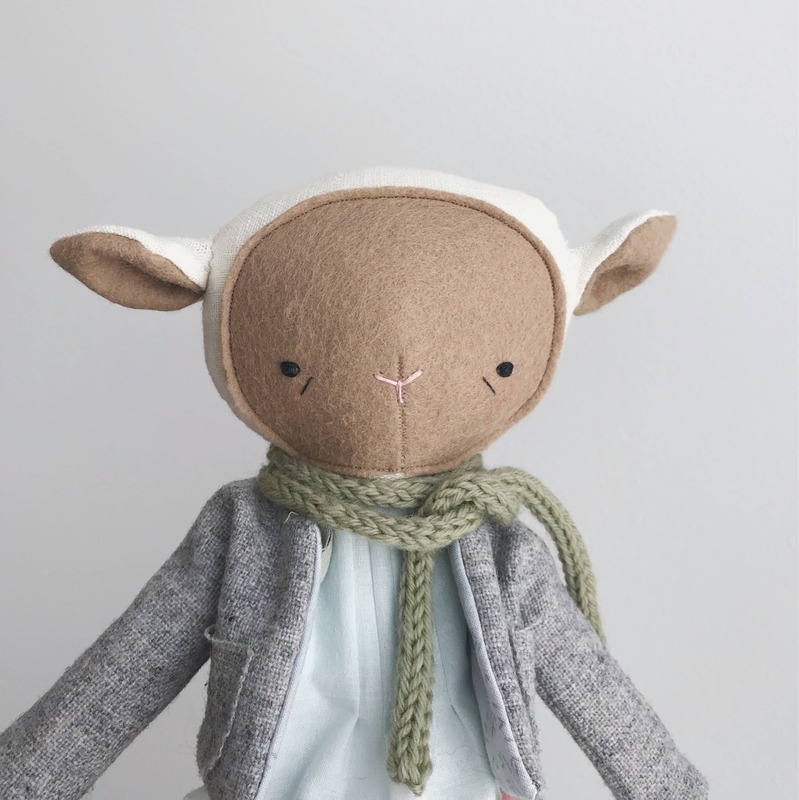 aster is dressed in a pale blue romper with shoulder ties and topped with a fully lined wool jacket and hand knit celadon scarf. 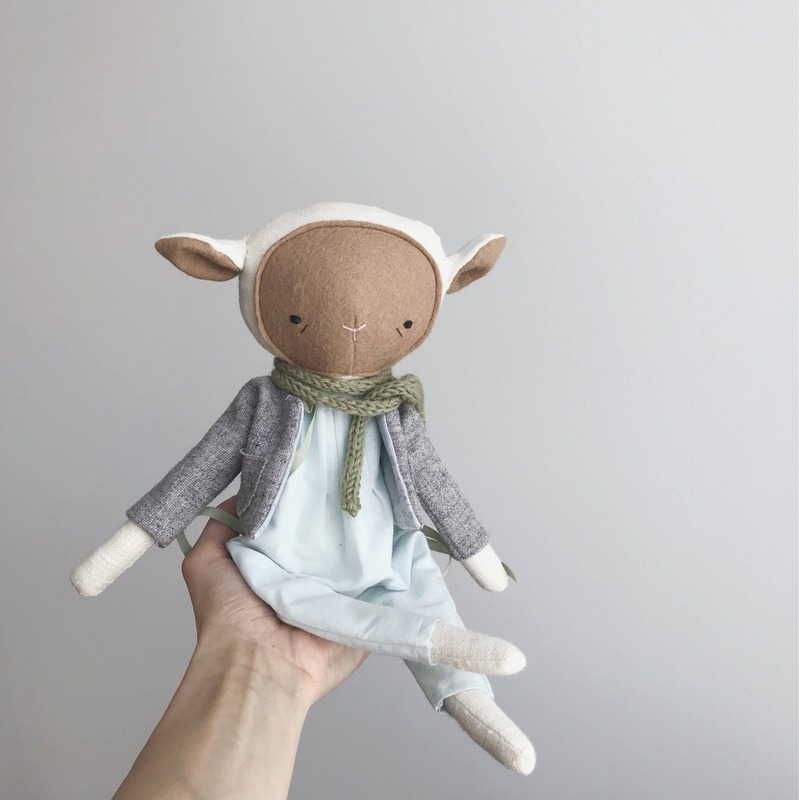 her clothing is removable! approx 14" tall and one of a kind. orders are packaged for safe travels and ship via USPS. oh, albatross is not responsible for lost packages.